To roll dough not wiredrawn and to cut out a form on disk by a diameter in 6-7 см. On every disk to put little by little stuffing, to lay down a disk in half and pinch together the edges of dough. 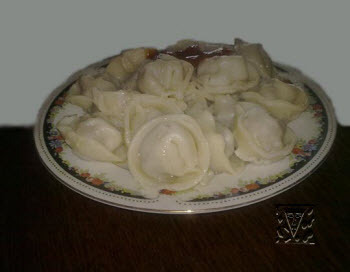 Not to connect tags - meat dumplings with a potato have a form of half moon. To put meat dumplings into the boiling added some salt water or clear soup, boil and cast aside on a colander. 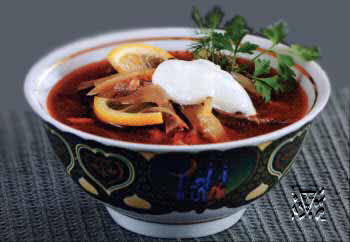 In Tatarstan very much many dishes are prepared from milk. He is added and in dough and in a porridge, katyk prepare from him, suzma, butter and tea drink usually with milk. Katyk spreaded in most Turkic countries. The feature of this soul-milk product is that he prepares from the boiled milk, but not from raw. 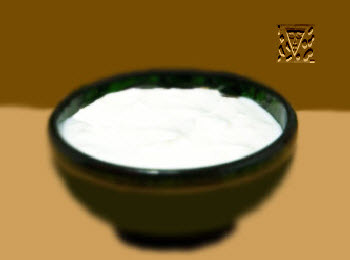 Katyk use and as drink and for preparation of different national dishes. At first prepare a ferment. The best ferment katyk of previous day serves as, thus, than older fungi of katyk, so much the better. In case of absence of katyk for a primary ferment it is possible to use the curdled milk. For preparation of the curdled milk take 1 litre of fresh, better pair milk, will put in him a 100-150 g of sour cream and put on twenty-four hours in a warm place. Outpour milk in a pan and melt on a slow fire at stirring so that it did not begin to boil here, and only heated to the temperature approximately 90°С. It creates more dense consistency of katyk, and also conduces to almost complete absence of sediment as a serum. After melting filter milk through an easy cottonade or through a gauze. After filter there must be a resilient clot of sweetish taste in a gauze. Put milk to cool off. The temperature of milk, which катык is leavened at, must not exceed 40°С. Pour warm milk in porcelain, ceramic, glass, but only not metallic tableware. A ferment infuse into in warm milk, carefully and evenly stir in him. After it close tableware a saucer, wrap up with anything warm and leave in a warm room on 8-10 ч. Then carry tableware in a cool apartment for the compression of clot. 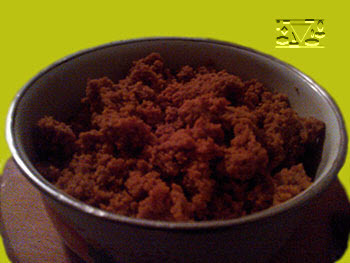 Good katyk has dense, homogeneous, without grains consistency and pleasant refreshing taste. On 1 litre milk: 100 g ferment. 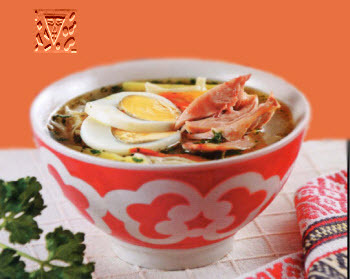 Tockmach do on clear soup from a beef, mutton, hen or turkey. He can be prepared with a potato or without a potato. To wash down a potato, bow and carrot and clean. To cut a potato shallow bars. To cut bow and carrot a straw and to brown on vegetable oil. Clear soup to infuse into in a pan, take to boiling, put a potato, add some salt and cook during 10-15 minutes on a middle fire, after to add brown vegetables. In a separate pan to boil the added some salt water, put a noodle and cook 2-3 minutes, after to cast aside on a colander, give to water to flow. To add a noodle to soup and boil thoroughly during 5-7 minutes after boil. To cut chicken meat small slices, to lay out on drinking bowls, inundate soup, pepper to liking and to serve a dish up hot, sprinkling with greenery. In prepared tockmach possible to add the pieces of the boiled egg. Composition: 3-4 large potatoes, 2 middle bulbs, 1 middle carrot, 1 tablespoon of vegetable oil, 2 l of chicken clear soup, salt, 150 g of domestic noodle, 150 g of the boiled hen, ground black pepper, parsley, dill.